Dark clouds had sailed behind the horizon, sky was becoming brighter. I was inside the stand structure and climbed those dark green metal bars up to ten feet high with some local fans. It was forbidden area, next to the 18th green, but marshalls had something more urgent to do. There was excitement in the air. I moved tarpaulin away from my field of vision, and I could see them all: Langer, Faldo, Price, Couples, Els and the man without his hat, Greg Norman. They finished their round and the tournament in front of me, one by one, surrounded by those huge, manually fixed, bright-yellow leaderboards – and some 30 000 golf fans. The year was 1993, I was sixteen and the place was Royal St. George’s in Kent, UK. I was following The 122nd Open Championship and saw Greg Norman winning The Claret Jug. The Great White Shark played a brilliant round of 64 on Sunday and won by two strokes before Nick Faldo. It was the second major win in Norman’s magnificent career and at the same time, the last one. As a golf fan, I reached the top way too soon. I got the chance to see The Open Championship after only two years of playing. For me, personally, The Open is the major of the majors. Many Europeans agree with that, but on the other side of the Atlantic it’s the Masters Tournament, which gets the votes. Well, I wouldn’t complain to see that either, but there’s one tournament that could exceed them both: The Ryder Cup. The Ryder Cup is a magnificent event with rich traditions. But the thing with the Ryder Cup is, that it really shows what it means, when the game of individuals turns into a team sport. It’s very different setup compared to The Open or The Masters or any other regular tournament. When Ryder Cup starts, it always seems to me that the players who aren’t there for the first time have really missed it. In a normal week everyone of them is competing against all the others. They are alone on the course, in response of their actions and decisions, and when something goes wrong there’s no-one to blame. Except the guy who looks back from the mirror. In Ryder Cup, half of the 24 best players in the world are on the same side. They root for each others, they help, support and comfort their team friends. They play for their continents. They win or lose as a team and feel the bigger pressure than in any other golf tournament they ever play. You can see the uniqueness of The Ryder Cup on the faces of the players – and that’s something I would like to see live, not only in my living room watching tv. 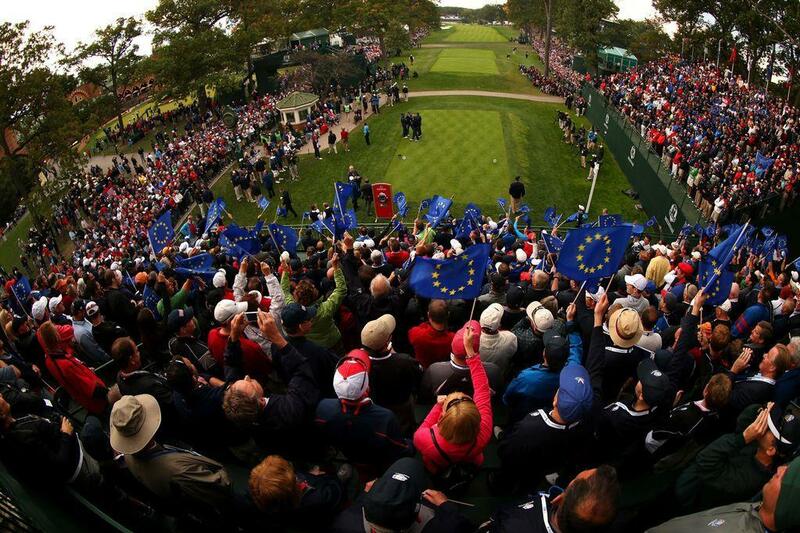 This year BMW is offering one lucky GameBook user from the UK a VIP experience at The Ryder Cup. This year, I might have a chance. And if you are a golfer in the UK, you definitely have a chance too. Just play golf. A lot of golf. The more you play the better chances you have. Just record your score with the Golf GameBook app and lift your thumbs up. With every round you play, you gain an entry into our price draw. 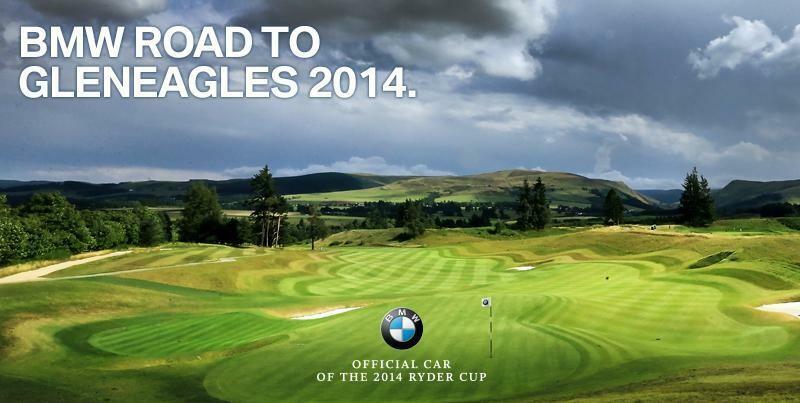 That’s your road to Gleneagles, paved by BMW. More info on the contest can be found here. What’s even better, you don’t have to move the tarpaulin to see them all. At Gleneagles, there’s a VIP treatment waiting for you.